A truly EPIC stout, brewed with our West Coast friends at Mikkeller Brewing San Diego and our Bushwick buddies at Spectrum Coffee. Featuring a blend of Honduran and Colombian coffees, plus 6 different kinds of rye--including maplewood-smoked danko rye from NY Craft Malt. We’re all Ryding through fire together on the Black Rainbow. Join us for fresh morning brew coffee on the nose, and thick mocha sweetness throughout your first and last sip. Bitten by the Hoptopus, our KCBC IPA is reborn! Ripe oranges, fresh pineapple and smooth pine. Mosaic, Idaho 7, Cascade & Centennial hops combine to deliver a powerful lupulin punch, backed by a balanced malt base. Soft haze that leans Northeast-ward, with a crisp, moderately-bitter finish for maximum drinkability. Alewife Brewing Company founders Keir Hamilton & Patrick Donagher are proud to begin introducing the NYC craft beer community to their own brand of impeccable liquids. Keir and Patrick share a vision to produce the finest, top notch brews and both possess a crazy passion for detail and quality. The new partners, each longtime contributors to the beer industry in NYC now unite as one to present mother ALEWIFE! Currently, we self distribute all our beers to the greater NYC area in draft format only. So, go to your local bars and let them know you want some Finback! Since 2013, we have opened a taproom for onsite drinking, expanded our brewing capacity, and now distribute throughout the five boroughs, Long Island, greater New York, and Massachusetts. We are still committed to creative small-batches and continue to brew beers that challenge us and excite you. Inspired by a chance encounter with the NYPD, this American stout is brewed using old-fashioned cake donuts and cold brew coffee from a custom roast provided by Native Coffee Roasters. This beer pours a dark, hazy mocha with a velvety head and has a prominent coffee aroma. The bitter coffee notes are balanced by milk chocolate and a chewy, full-bodied mouthfeel followed by roasted coffee on the finish. Brewed with 100% NY State ingredients from New York Craft Malt, Upstate Hops, and Pederson Farms, this beer highlights the great ingredients available in our home state. Unfiltered with a pale straw color, there are notes of honey and graham cracker on the nose. Flavors of graham cracker, minerals, and NY terroir are accompanied by a soft, dry finish. 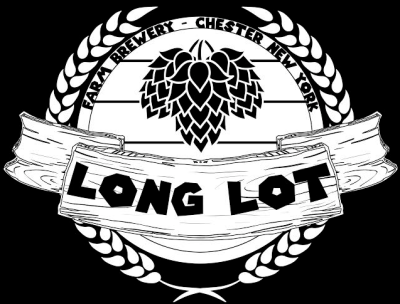 Long Lot Farm Brewery is a Nano Brewery located on our family owned dairy farm in Chester, NY. The farm is fifth generation owned and operated. We strive to continue that tradition with the addition of the brewery. We currently grow most of our own hops, right here on Long Lot. Glacier Juice, a 7.5% IPA with balanced notes of citrus tropical fruit and pine. Son Of a Bee, a 9.5% Honey Strong Ale. Son of a bee is a malt forward brown ale with 10 pounds of local honey per barrel. Crafting quality beers in the Hudson Valley. Mother of All Photo Bombs | So we took Photo Bombs base and yeast with MOAB hop profile and created MOAPB. This juice crusher has notes of papayas, pineapple juice, peach nector and mangos. We're craft obsessed from the top down...Craft is clever, quality and fresh. These are the elements we use to deliver innovation to your table each and every day. Authentic and without pretense. 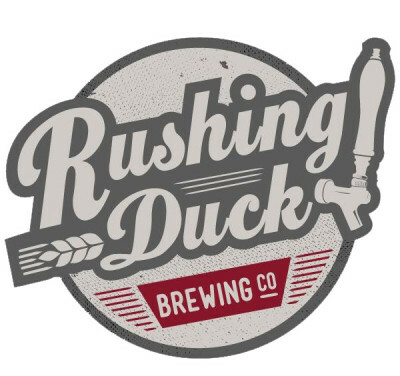 Our mission is to deliver the comforts of a thoughtfully sourced menu in an inspired brewery atmosphere. Beer styles range from hoppy and flavorful IPA’s to thirst quenching, barrel-aged sour ales. Captain Lawrence distributes domestically up and down the east coast, as well as internationally to Europe, the U.K., Scandinavia and Japan. Captain Lawrence has won countless accolades including ten GABF medals..
Rosso e Morrone- Red wine grapes mix with sour brown ale to create this truly unique sensory experience. Aged in oak barrels with Brettanomyces to help marry the flavors, and impart a distinct sour character found nowhere else. Rich, vinous, tart and tangy are the flavors of this classic American Sour Ale. Smoothie Dreams: Brewed with raspberries, vanilla & milk sugar, it’s sweet, tart and super smooth. You’re going to love it! Double Pull: strong, Dark and Loaded with Coffee! Super rich and silky imp stout loaded with chocolate, coffee and roasty flavors. At Broken Bow Brewery our passion towards offering our very best is deeply personal. Family owned and operated, our earliest brews were designed to be enjoyed by family and friends. With those gatherings as our standard, we're committed to delivering every drop with the thoughtful attention to detail that special people and times deserve. Broken BOWJangles Belgian Dark Strong Ale 8% abv - A medium bodied Belgian Dark Strong Ale brewed in collaboration with Against The Grain Brewery. Made with Kentucky Sorghum, this brew features subtle notes of dark fruit, spices and sweetness. A seasonally appropriate beer perfect for colder weather. Space Brut IPA 8% abv - Our take on this stylistically new Brut IPA is straw in color, dry hopped with Citra, and Galaxy hops, and highlights a dry, crisp mouth feel. This champagne-like beer is perfect for special occasions! Established in 2002, Cricket Hill is one of the oldest craft breweries in New Jersey. With our Year-Round, Seasonal, Small Batch and Reserve brews, we offer a clear alternative to the large commercial breweries. Nap Time Liquid Creation is an Independent Craft brewery located in Rockland County. Launched in April of 2018 bringing our concept of dreams and nightmares a reality. We are focused on creating well balanced quality beer in the Lower Hudson valley. Honor. You’ll find a good deal of it in everything we do here at the Newburgh Brewing Company. We honor the natural goodness of our ingredients, by working hard to make them shine through in every sip. We honor the rich history of Newburgh, a tough-minded town that’s still as hardscrabble as it was when General George Washington stationed his army here more than 200 years ago. That earnest, pull yourself up by your bootstraps energy still abounds in Newburgh and it’s reflected in the simple, honest flavors you’ll find in our beer. People have been brewing beer in Newburgh since before America was America – it’s a tradition we’re proud to be a part of. Most important, we honor you. We love making beer. We pour our passion into this brewery every day and we are deeply honored each time you choose to enjoy the fruits of our labor. Founded in 1996, High Point Brewing Company is America’s premier brewer of German-style Lagers and Wheat Beers. The founder and driving force of Ramstein Beer is Greg Zaccardi, an award-winning brewer who trained and brewed professionally in southern Germany. SPIN IPA- Reaching arms across oceans and continents to bring together hops and malts from around the world. Brewed with our German-American brewing technics and robustly dry hopped. District of Chester, NY that began selling beer on draught in August of 2012. Based in Orange County, our beer is distributed throughout the Hudson Valley and New York City by Remarkable Liquids. We produce a wide variety of tasty beers. Hoppy, malty, American-styled, Belgian influenced, barrel aged, sours, you name it. First and foremost we brew beer that we like to drink. We hope you do too. Dirty Chai Ded Moroz 11.2% - Meaning “Father Winter” in Russian, Ded Moroz, is pitch black in color. It is an imposing beer that is best enjoyed by slow sipping to fully soak up this beer’s complexity. It has a very deep flavor profile of dark chocolate, coffee, graham cracker, overripe fruit, amongst others. For this variant, we added vanilla, an in-house chai spice blend, and locally roasted coffee to create a play on a dirty chai latte. Don't Stoke the Bear 5.1% - The next beer in our Malaphor Series. This is a rotational sour series, whose names consist of confused sayings/metaphors/phrases. The base will always be the same light kettle sour, but with different additions to each beer after that. In this case, we added plum and cranberry, as it seemed appropriate for the winter. The resulting beer has an inciting pinkish hue with the plum flavors being balanced nicely with the tart bite of the cranberry. Divided by Zero IPA 6.8% - “Imperial Session, Pale-Black IPA” aka an intensely hoppy IPA. It uses 5.5 pounds of hops per barrel, the most hops we use in a regularly released beer. We use Pilsner malt, giving the beer a light, straw- like color. This combined with relatively low bitterness makes this IPA surprisingly drinkable. We change the variety of hops every time. Hops in this batch: Motueka, Azacca, & Sticklebract. Sloop Brewing Co. was founded in December ,2011, by Adam Watson and Justin Taylor, two friends who met at college and bonded over their love for good beer. After college, Adam and Justin took this love for beer one step further and started brewing together. Living in Beacon, NY, Adam and his wife, Amy, would visit the local farmers’ market every Sunday. On a whim, Adam asked the market manager if he could start selling the beer he was brewing with Justin. The manager told him he probably needed some sort of license for that sort of thing. Six months later, after retrofitting Justin’s garage into a nanobrewery and acquiring all the proper licensing, Sloop Brewing Co. was born and began selling their Red C and their Old World Pale Ale in Beacon every Sunday. At Plan Bee Farm Brewery our mission is to brew 100% New York State ingredient beer. Our beers are created by the limitation of local resources -from the yeast we cultivate from our honey comb, to the grain and hops in our fields, if it isn’t in our community it doesn’t enter our beer. “Cashazacca” milk sugar ipa w lactose, 7.1% 18ibu, a balanced mix of cashmere & azacca hops give this beer a smooth, creamy, hoppy body with a touch of sweetness. “pk pale ale” 5.4% 38ibu two row base malt accentuated w victory, munich & red wheat malts balanced by a schedule of american “C” hops. “Led astray ipa” 6% 18ibu a balanced malt body, w a mix of centennial, simcoe, and amarillo hops, with a cascade dry hop. Gives a lemony citrus crushable profile. Distance from Defiant: 800 ft. Gentle Giant Brewing Company is a microbrewery, barbecue joint, and a home where you can forget about all of your worries. Our craft beers, slow smoked barbecue, and assembled playlist of music will allow you to shed the weight of whatever ails you. Our mission is to offer you something More Than Just Craft™.